Trenton Adult Education helps open the door to great new opportunities! New jobs, attending college/technical school, improving college performance, or improving on-the-job performance. Classes provide training for adults at least 17 years of age (not currently enrolled in high school) to enhance skills and education leading to improved career opportunities and jobs. Classes are provided each week at NCMC in Trenton. Our classes teach high school level math, reading, and writing, and are perfect for a variety of student needs. Register to attend one of the required Orientation meetings to learn about the program and requirements. Location is NCMC campus. You must be a Missouri resident, at least 17 years old, and not enrolled in school. You must attend all parts of orientation. If you cannot, you will need to wait until the next scheduled orientation. You must be in attendance at least 6 hours per week. Classes are held Tuesday – Thursday from 5:00 p.m. – 8:00 p.m. Please arrange your schedule to allow you to attend 6 hours per week. An absence is any week that your attendance is less than 6 hours. You will be dropped from the Adult Education program after three absences in a 90 day period. If dropped from the Adult Education program, you must wait at least 30 days and attend Orientation before re-enrolling. The minimum attendance class commitment is for 40 hours. Please arrange child care, transportation, and your work schedule to allow you to attend 6 hours per week for a minimum of 40 hours. You may need several 40 hour sessions to prepare for the HiSET, or to meet your educational goals. Classes are provided free of charge. Please help us continue to offer them for free by adhering to the attendance policy. We realize emergencies happen. However, absences will slow your progress toward your goal. It is your responsibility to contact us to let us know that you will be absent. Multiple absences may result in your dismissal from the program. 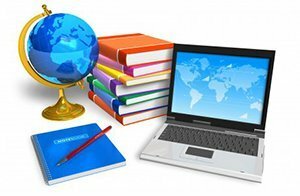 If you cannot attend class consistently, consider studying online through the Missouri Learns Program. Their website is www.MOLearns.com. Cell phone policy: It is our policy to not allow cell phone usage during class. Please turn all cell phones to silent. Listening to music with headphones is perfectly acceptable. For High School Equivalency testing, we do not currently give the HiSET at this location. When you are ready, we will help you sign up. The cost will be $98.00 for the full battery. More information can be found at www.hiset.ets.org.